Ready for a new kind of speaker? Action speaks louder than motivation. Your audience will not just be listening during Dave's speeches; they'll be doing, as well. Engaged audiences lead to information retention and lasting results. Dave is a dynamic speaker who personalizes his message. Your group will feel as though Dave is speaking directly to their personal motivations, fears and desires. 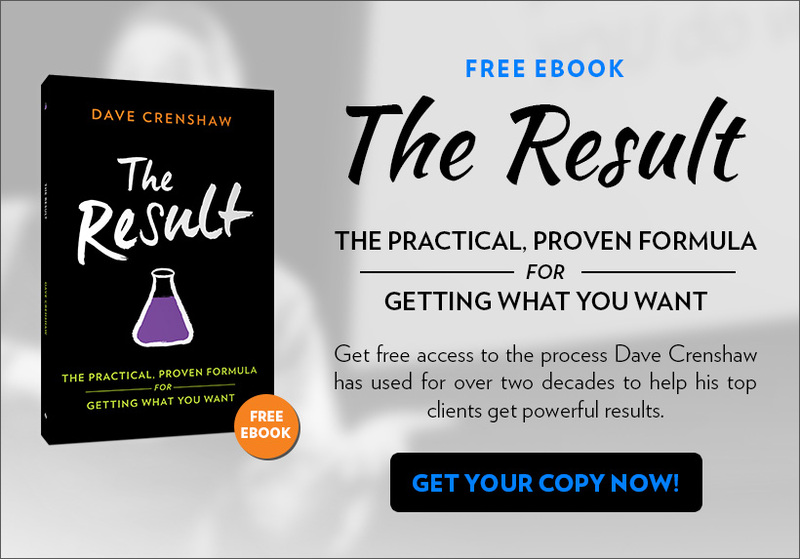 As the author of three bestselling books and an experienced business coach, Dave knows the importance of offering practical, useful information. Your group will make lifelong changes that will improve workplace culture. As Mary Poppins once said, “a spoon full of sugar helps the medicine go down”. Audiences are most receptive to big ideas when mixed with a dash of levity. Dave’s speeches are bursting with humor and wit. Your group will not only learn at your event, but enjoy themselves as well. Dave consistently beats and meets deadlines. You can depend on Dave to honor your requests and arrive early at your event. A lot of people talk about Dave Crenshaw, including Time Magazine, FastCompany, USA Today, and the BBC. Those are big names, but Dave couldn't help but laugh when he found himself quoted by one of the world's most iconic actors. …Chuck Norris. Chuck Norris quoted Dave in The Official Chuck Norris Fact Book. If Dave can impress the mighty Chuck, then Dave will absolutely blow your audience clear across the conference room. He’ll deliver roundhouse kicks to lost productivity and drive a pickup truck of leadership through the ground surface of your company. Chaos affects every person at every level of business. There's always more work, and never enough time. This chaos takes its toll on friends, families, coworkers, and health. Many businesspeople simply don't have the time to free up time. Many know they need help, but aren't sure where to turn. Fortunately, Dave’s got your back. 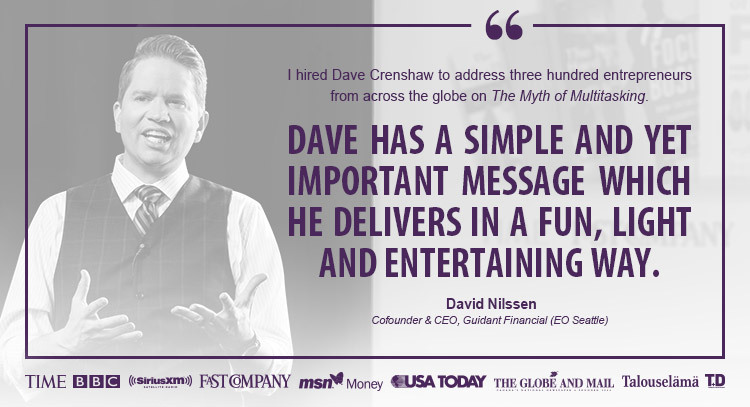 Whether you're hosting an event for thousands of companies or just your own, Dave is your man. 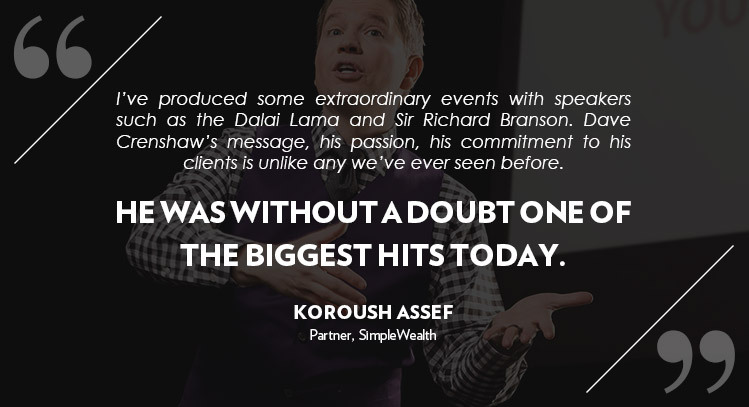 He’s reached hundreds of thousands through his online courses and bestselling books. As a speaker, Dave will energize his audience to be more productive and motivate them to become better leaders. Dave’s knowledge, wit, and intellectual firepower are the secret weapons to professional GROWTH! Business leaders the world over describe Dave's presentations as life-changing because he has shown them and their staff how to make themselves invaluable in their markets. The worldwide press has taken notice. Dave's ideas are that powerful. 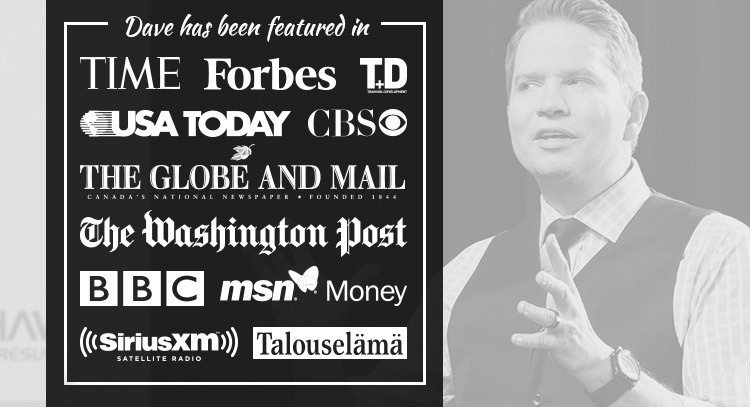 Need a speaker to excite your audience? Want to learn more about effective leadership, seamless productivity, personal balance, and move beyond the old clichés of “taking care of business”? Dave delivers! Want your staff to become more productive with their jobs? Want them to uphold the values of your company and take pride in their work? Hire Dave to show them how they can make themselves invaluable to your company. So if you're ready for Dave to wow you, your guests and staff, check Dave's availability for your event now! Increase Your Value with the Power of Hidden Time! What could you do with a 20% increase in productivity? Dave will show you and your company how to find extra time at work, without having to work weekends. Dave will show you how to find precious minutes and hours - that add up to extra DAYS! - hiding right under your noses. Not only that, Dave will show you how to make that time COUNT with his truly unique brand of wit and wisdom. Ever attend a meeting or an event where everyone gets excited to make a change...and then three weeks later forget about it? In order for organizations to grow, they must make lasting changes. In this keynote, Dave demonstrates the magic of The Result. Live and unrehearsed, uses a three-step formula to help audience members find the path to getting the result they want.Then he provides the process participants can take back to the workplace to use every single day. This is one speech you have to see to believe! How Meaningful Breaks Help you Get More Done...and Feel Fantastic! What if you could be more productive than you are now, simply by having more fun? The Power of Having Fun will guide you through Crenshaw's revolutionary five-step system to grow your business and advance your career...all while feeling fantastic! Discover the science and power of essential, rejuvenating moments that will replenish your mental, emotional, and social reserves on your journey toward greater productivity. How Entrepreneurs Can Triumph Over Chaos! In this fresh, creative take on entrepreneurship, Dave confronts Chaos Inc., the prime culprit of business failure. He then arms you with the superhero utility belt you need to rise above the daily mayhem and craft a focused business strategy. Through real-world examples and a healthy dose of wit, you’ll discover how to conquer the seven Agents of Chaos, stay focused, and maximize profit. For any business seeking to create a solid foundation for lasting growth, The Focused Business is the fun, memorable, and absolutely invaluable experience. Want a promotion? Do you dream big but feel stuck where you're at? Do you wish your boss took your ideas seriously? Dave has helped others get noticed - and promoted - at work, by becoming more focused. He will give you the six keys of focus, the Invaluable Factors, that will radically increase the value of your time and productivity, regardless of whether you're an employee, a manager, or the CEO. The Myth of Multitasking: Increase Your Value with the Power of Hidden Time! The Power of Having Fun: How Meaningful Breaks Help You Get More Done... and Feel Fantastic! The Focused Business: How Entrepreneurs Can Triumph Over Chaos! Larry Benet Chief Connect of SANG and the author of "Connection Currency"